World 'Trade' War III: POTUS Threatens China with New $200B Tariffs. Stocks Are Getting Whacked! World ‘Trade’ War III: POTUS Threatens China with New $200B Tariffs. Stocks Are Getting Whacked! According to CNN, United States will impose tariffs on an additional $200 billion worth of Chinese goods. The trade war continues to gain momentum. 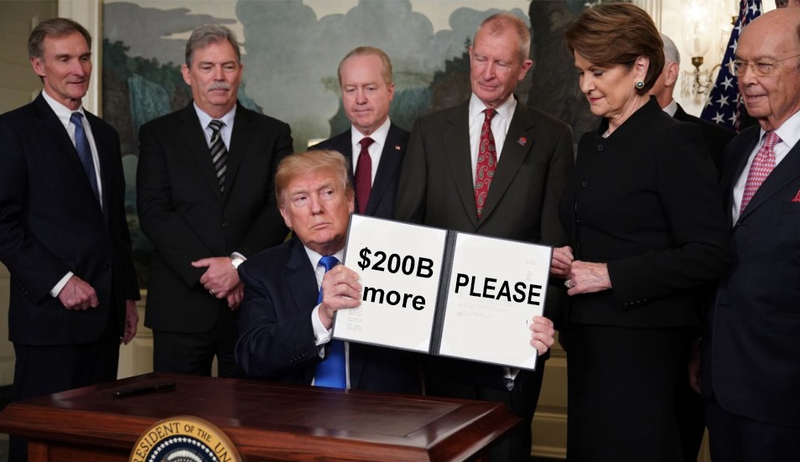 In case, if China makes changes related to US tariffs, the White House will impose tariffs on $200B more. It started when Trump announced they would impose a 25% tariff on $50 billion and China answered with tariffs on $50 billion worth of US goods. “Further action must be taken to encourage China to change its unfair practices, open its market to United States goods, and accept a more balanced trade relationship with the United States,” Trump said. 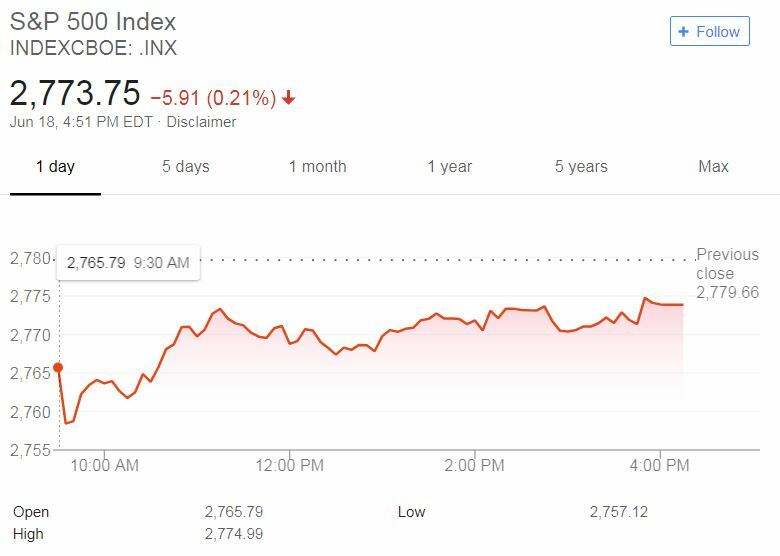 The S&P 500 was set to open lower by about 1% after selling dropped China’s Shanghai Composite (-3.78%) to its lowest level in 2 years. . The US dollar index was higher by 0.44% and at its best level in 11 months, Business Insider reports. Recently, China offered President a package of proposed purchases of US goods to slash US trade gap by $200 billion. Business Insider stated that the offer was made during the US-China trade talks in Washington. Earlier, Donald Trump officially announced that he was imposing a 25% fee on steel imports and 10% fee on aluminum. The new fees temporarily exempted Canada and Mexico, which together with the US are parties to the North American Free Trade Agreement (NAFTA). In addition to these two states, Trump said about the possibility of making an exception for Australia and other countries. The US decision to impose tariffs on steel and aluminum is severely criticized by the EU and China. They promised to take countermeasures. China stated that their restrictions are the answer for the actions performed by Trump a month ago: $50 billion worth of Chinese goods. Then, US promised to impose 1,300 Chinese exports worth $50 billion to punish China. A 25% tariff would be applied to all the products mentioned in the list. Tariffs would be related to aerospace, tech, and machinery, medicine and education, steel and aluminum. Trump didn’t wait for too long and raised tariffs worth $100 billion on Chinese exports.